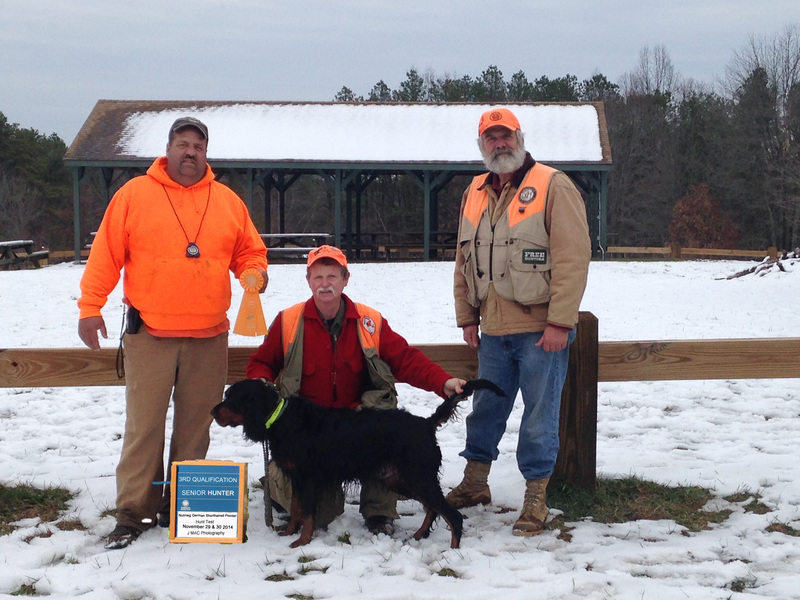 Thank you to our newest Guest Blogger -Jim MacWalter for this article written in 2013 sharing his experiences training Gordon Setters for their Senior level Hunt Test title. 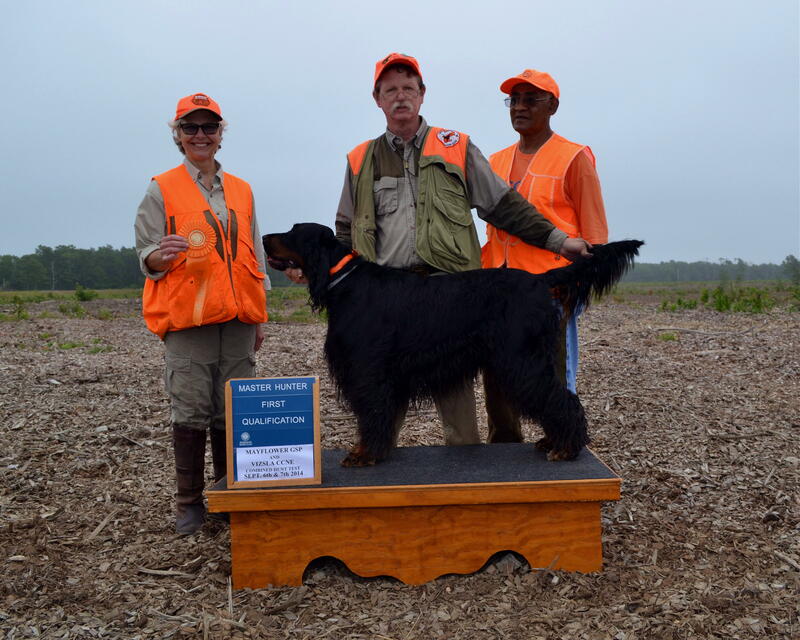 Last spring, after entering my two Gordon Setters (Brodie & Ceilidh) in a few hunting tests in the new Junior Advanced level, the thought occurred to me that perhaps it was time to get serious and start their training toward Senior level and perhaps we might even achieve Master if we worked hard enough. So in June we started our training with Jeff Reis of Berkley, Massachusetts. I say “we” because that’s how Jeff trains. He trains not only the dog but the handler as well. This is exactly what I was looking for as I wanted my dogs to recognize me as their handler and to be an integral part of any achievement my dogs may earn. We started our training with Brodie, as I thought he might be the most difficult one to train due to his age, (Brodie turned seven this past December), and the number of years that I have hunted with him with little to no training, (my bad). I was most pleasantly surprised when Brodie’s training progressed much faster than I ever anticipated. He quickly caught on to the table training, where he was taught the “Whoa” command and heeling command. He was soon in the field on a check cord, learning to implement the commands he learned on the training table. He was pointing the bird when he first caught scent rather than inches from the bird. This placed him ten to twenty feet from the bird, and in a position that made it less likely for him to break should the bird move. We moved on to teach him to be steady to the flush and the shot. 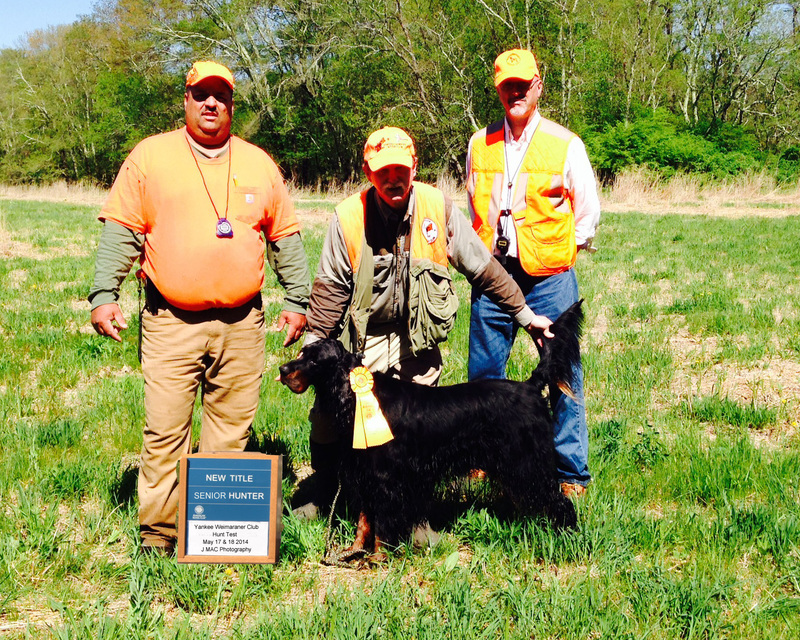 This took a little longer as Brodie had never had to do this in the past six years that we have hunted together. Brodie thought it was the greatest thing to chase the bird when it was flushed so he could be there when, (assuming I hit it), it hit the ground. But he did catch on, and was soon making me proud as he held point though flush and shot. It wasn’t always a given that he would hold, and occasionally he would break, but considering his past this was terrific! Brodie soon graduated from the training field we had been using to a new field and also a change from pigeons to quail. In one of our latest training sessions, the quail woke up from his nap and was walking around in front of Brodie and the boy held his point!! I was so proud of him that day that I thought I was going to bust the buttons right off my shirt! Ceilidh’s training started in August. Ceilidh turned three this past October and she is a spit-fire. Since her training began, she has progressed from the training table to the training field with admirable results. She is much softer than Brodie and we have to be very careful with her in training so that any correction we give her is constructive and will not have a detrimental effect on her. Ceilidh is now holding steady to flush and shot and will soon be graduating from pigeons to quail. My experience in Brodie and Ceilidh’s training has been amazing. I have learned much during this process and I believe I still have much to learn. Witnessing when the light bulb comes on during the dog’s training is something not to be missed. You can see it in their eyes and in their body language when they understand what it is that you want them to do. It can be easily seen that they are as happy as you are when this event happens. Both my dogs and I look forward to every training session and whether we have a good day or a bad day, we arrive back home knowing that we have learned something that day. I have always had a great respect for the dogs and handlers in hunt tests. 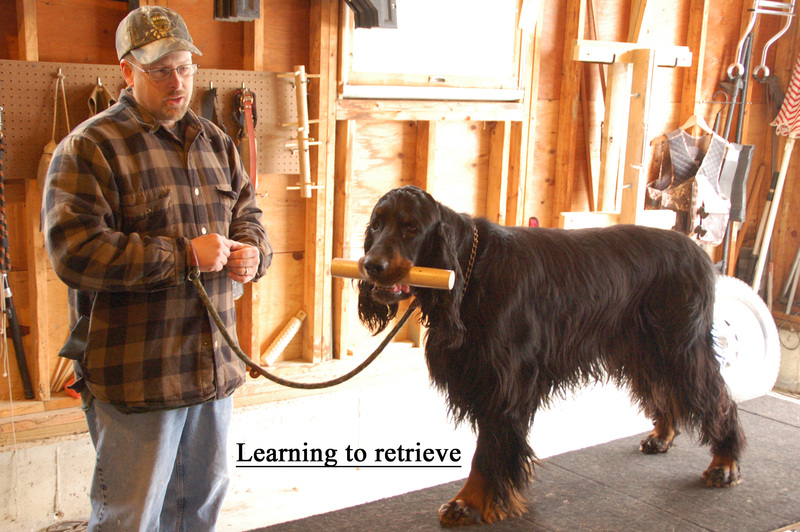 Watching a handler and his dog in a Senior or Master test is akin to watching a ballet. The team of dog and handler work together in a symbiotic relationship. The dog and his amazing sense of scent locates the bird and indicates it’s position to the handler by a staunch point. 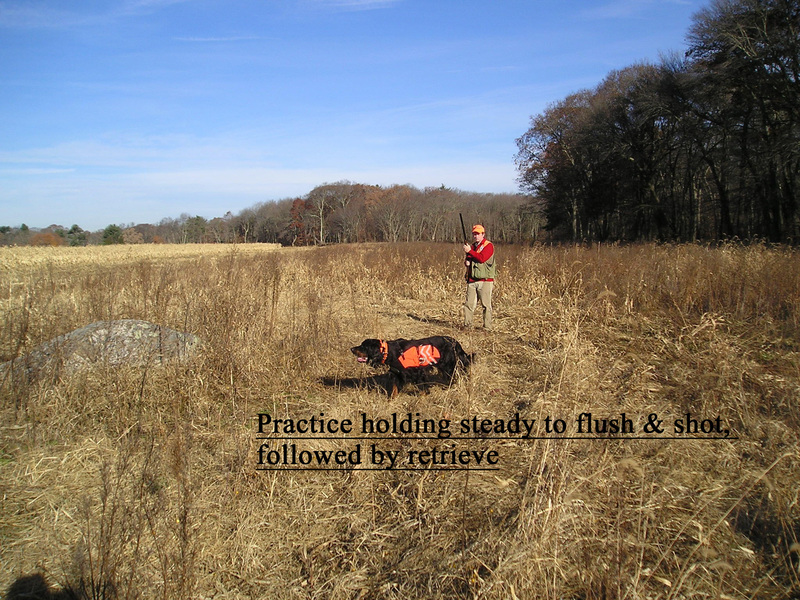 The handler may steady the dog with a soft “whoa” and goes in to flush the bird. The bird explodes into the sky, and the gunner does his job. The dog has held his point and watched intently as the bird fell. 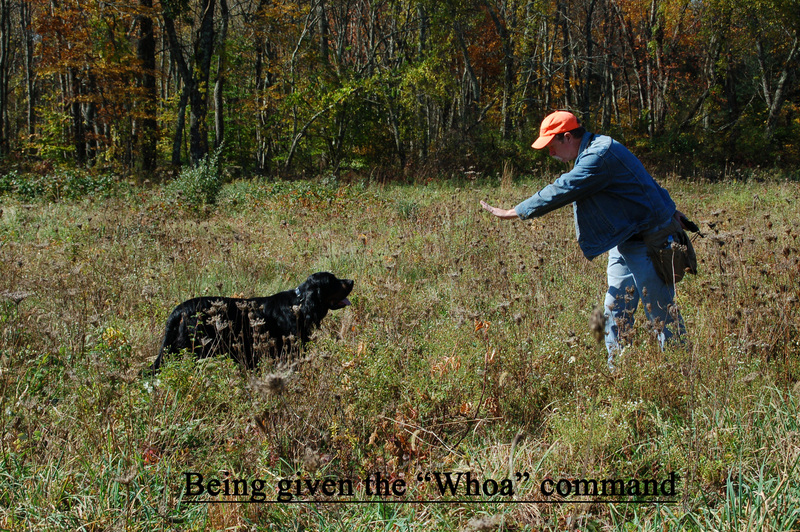 The handler instructs the dog to “Fetch” and the dog is off, finds and retrieves the bird back to the handler. As with most things that are done well, the dog and handler make this look so easy. Since I have started training, I have learned this is not easy. It takes months of hard but rewarding work to attain a level where the dog and handler are now ready to enter themselves into a Hunt Test. 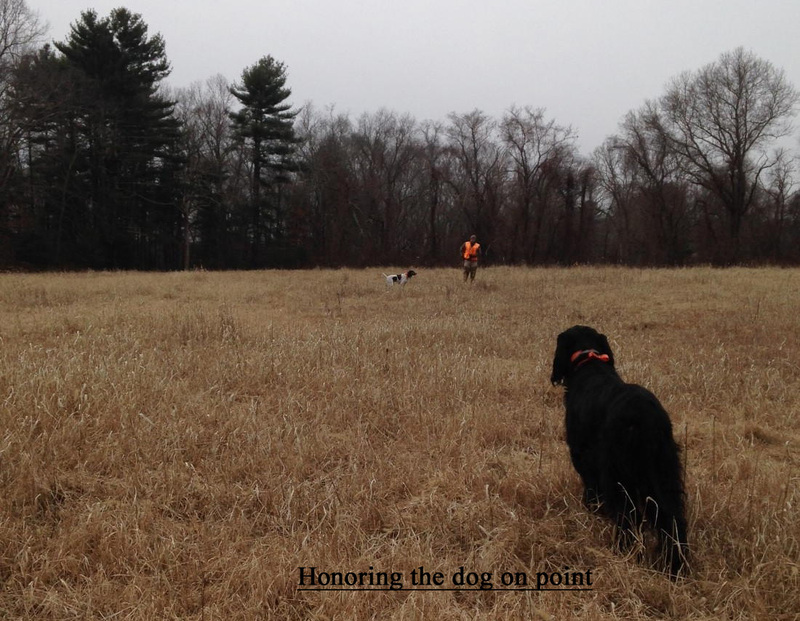 Personally, I can think of no better activity than to spend some rewarding time in the field with my dogs. This is an article I wrote for the TarTan Tidings in January of 2013.